Knowing you'll have a reliable source of income when you retire—one that will maintain or even enhance your lifestyle—requires careful planning. Ideally, this planning begins when you're young. With the right tools and advice, you can pursue these benefits even when you start later. Retirement planning is the process of evaluating your current financial standing and creating a strategy to help ensure you achieve your desired retirement lifestyle. It is about matching goals with financial realities, and the focus is generally on providing a lifetime of income after your last paycheck. 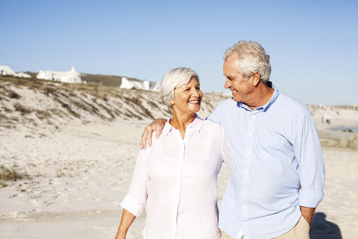 Since an individual’s retirement years can span decades, retirement planning generally dominates other financial goals. A successful plan, put in place, during your working years should address ways to help maximize growth and prepare for tax-efficient distributions. As mentioned above, planning for retirement requires us to simultaneously devise a plan for growing and ultimately drawing on your wealth: accumulation and distribution. It also involves risk management. Other subjects, such as IRA rollovers, employer-sponsored plans, and executive compensation, are also appropriate for retirement planning. Retirement planning is a critical component of wealth management, and a good retirement plan will be well-coordinated with your overall plans for investments, insurance, business, estate, and taxation. Take a more detailed look at how our process works to help you meet your financial goals.